While the current shrine grounds has “only” been around since the mid-1600s (it was previously located in nearby Sendagi), its history stretches to almost 2000 years before present, during the time of Prince Yamato Takeru. The relocation was done in connection to the 5th Tokugawa shogun’s (Tokugawa Tsunayoshi) declaration of a successor. The shrine was also known to have been part of the intercession with the gods, for the relocation of the capital from Kyoto to Tokyo. 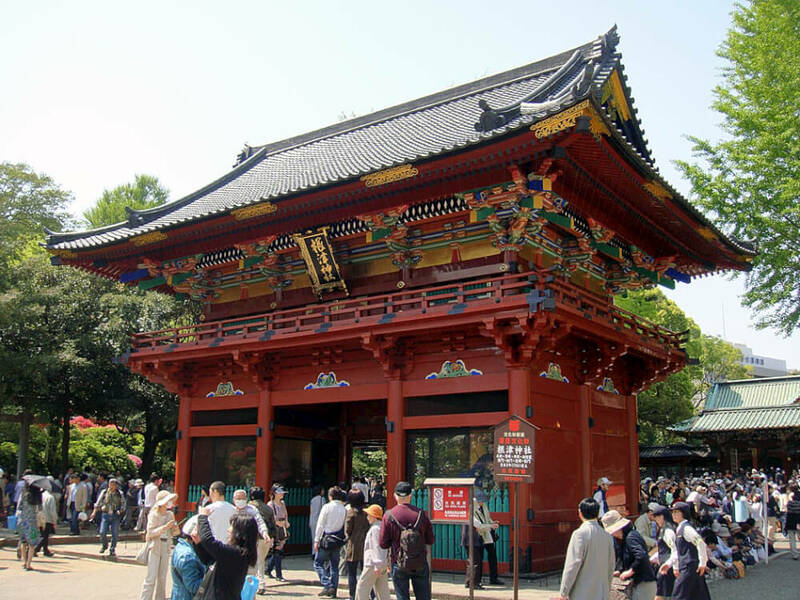 Its long history has landed itself in a place among locals as one of the 10 most historical shrines in Tokyo. The shrine has also appeared in works by famous authors such as Ogai Mori, Natsume Soseki and Takamura Koun, with the first two authors having lived in the area, adding to its historical significance. The main structures of the shrine have not changed architecturally since it was built hundreds of years ago. Namely, the main shrine, the hall of worship and the tower gate. 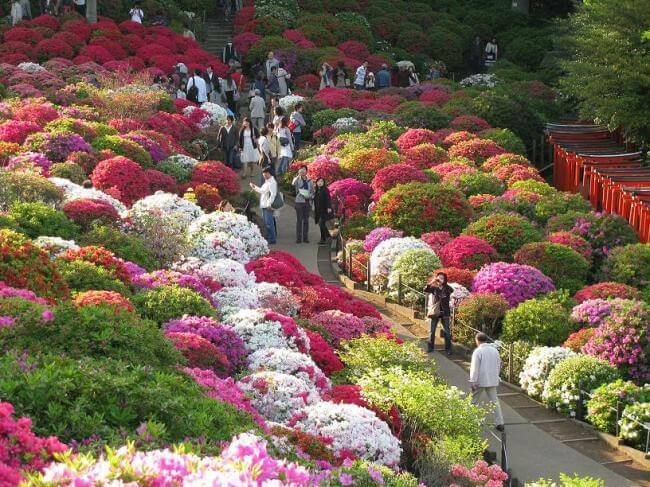 100 species of azaleas and a total of 3000 bushes leave a sweet fragrance in the air between April and May each year. 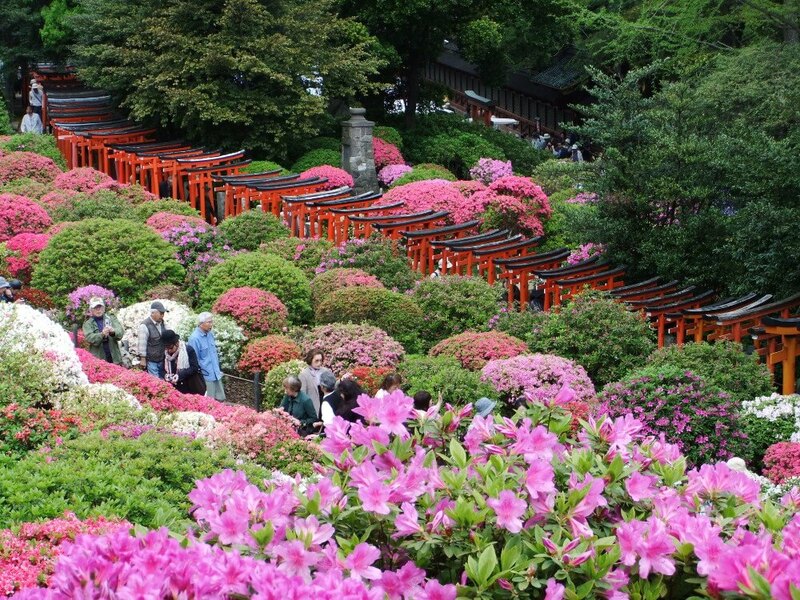 This period coincides with the Bunkyo Azalea Festival which comes with street stalls and drum performances among other features. The Fushimi Inari Shrine in Kyoto is known for its numerous toriis and a similar sight can be seen here. Within the Nezu Shrine compounds is a smaller Otome Inari Shrine which features the “thousand” toriis. You can also walk through the entire stretch of toriis if you wish to.